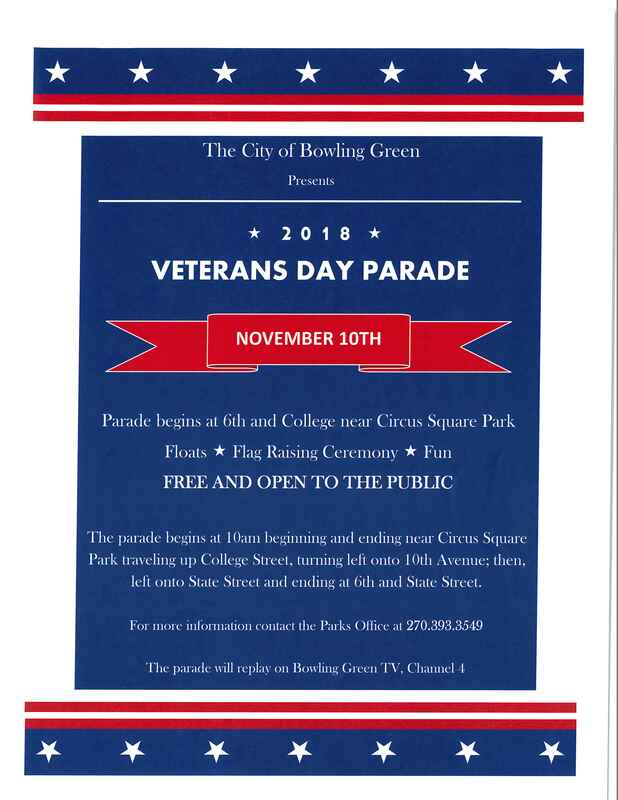 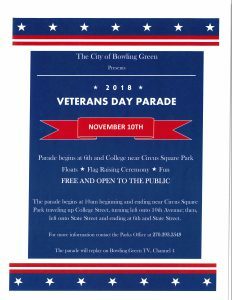 November 10th will mark the 2018 Veteran’s Day Parade in downtown Bowling Green hosted by the Bowling Green-Warren County Military Liaison Board. 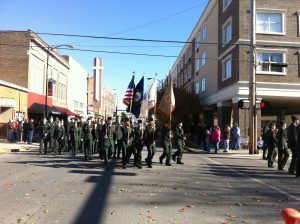 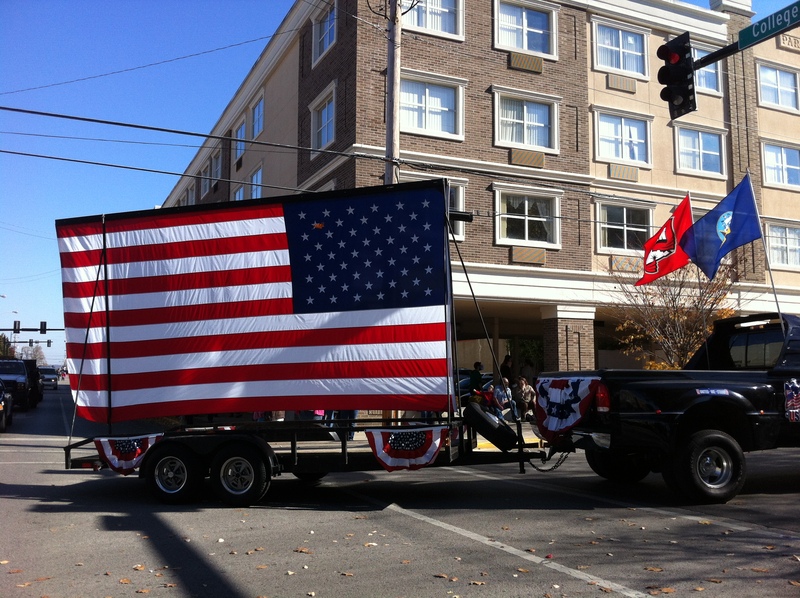 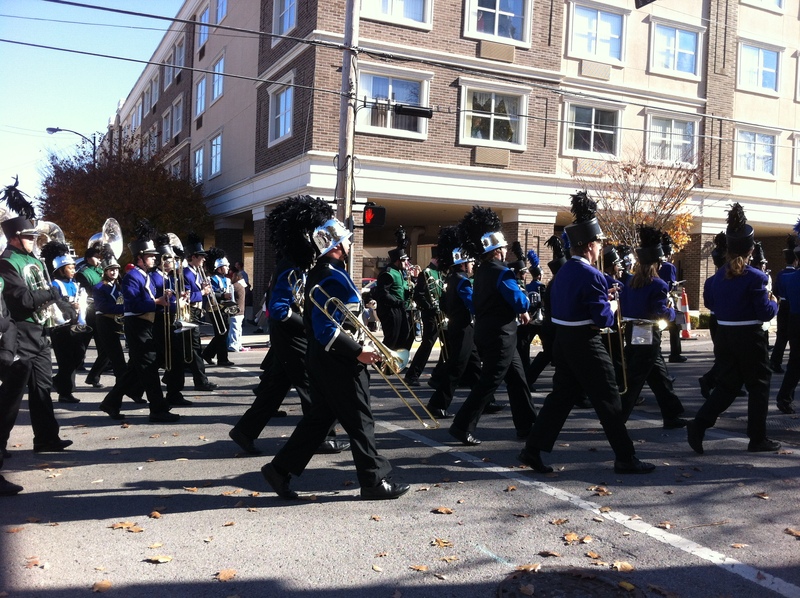 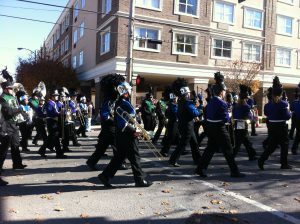 The parade is expected to feature more than 300 units honoring our past, present and future troops and their families. 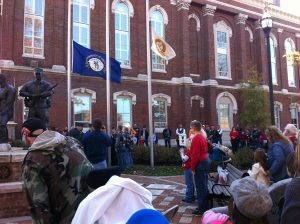 Veterans Day is a Federal holiday that recognizes those who have served in our armed forces and who have fought for our freedoms.